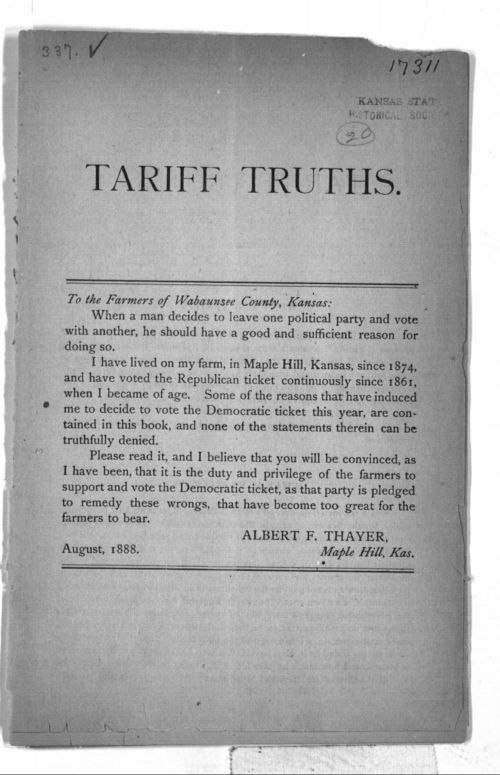 Albert F. Thayer of Maple Hill, Kansas, wrote this pamphlet addressed to the farmers of Wabaunsee County to explain why he was going to vote a Democratic ticket in the upcoming election. He wrote that he had voted for Republicans since 1861. The pamphlet deals with tariff issues from what became the Populist perspective. He gives examples of the cost of groceries and clothing with and without protective tariffs.